In need of a pick me up to get you through the working week? If you’re a seafood lover, we’ve got just the thing! 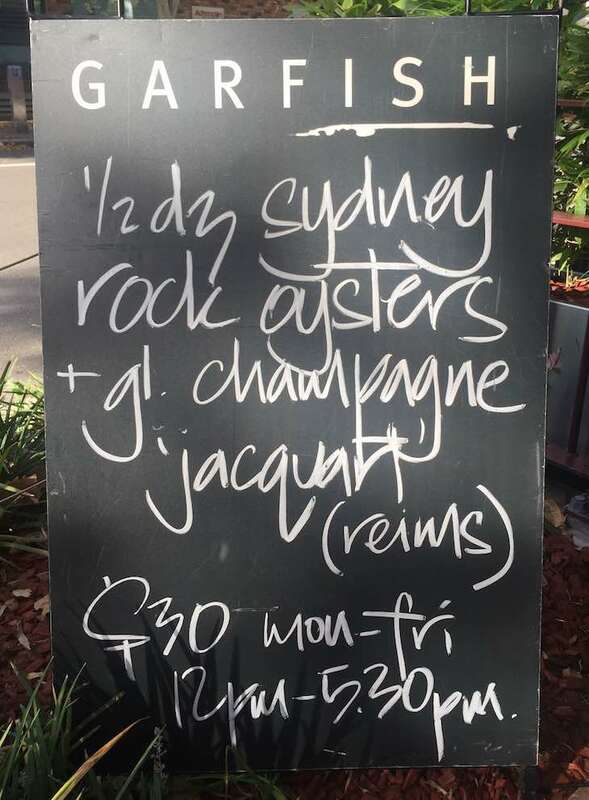 Half a dozen Sydney rock oysters + glass of champagne Jacquart $30 Monday to Friday from 12pm to 5.30pm. We’ve paired half a dozen Sydney rock oysters with a glass of bubbles, and only the best will do. But don’t worry, this weekday special is all about indulgence, not the expense! 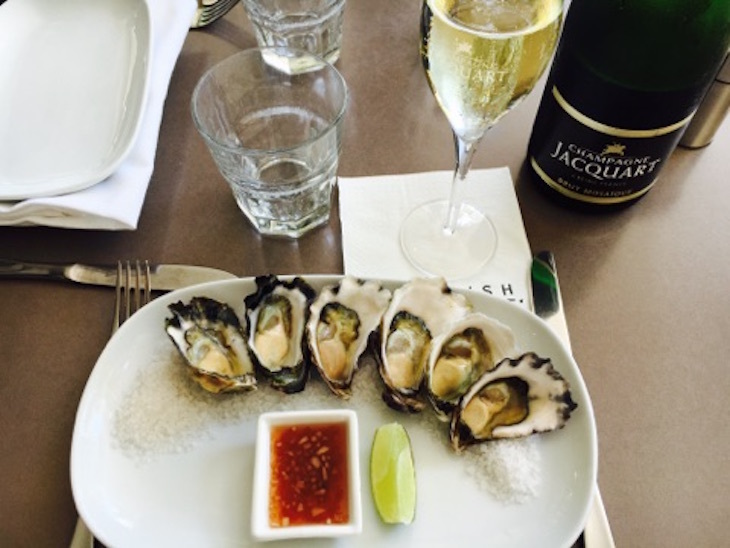 Champagne Jacquart, as the name suggests, is French, and their Brut Mosaique is a blend of Chardonnay, Pinot Noir and Pinot Meunier that will happily tickle your palate while you savour the home grown oysters. Join us for lunch (or leave work early!) and enjoy some weekday seafood and bubbles therapy. Cheers!